We often say Weber grills are made by people who love to grill, so who better to ask for burger tips than the people who work at Weber? 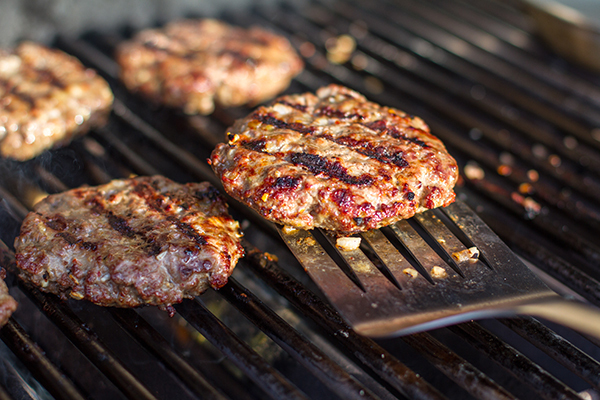 These are some of our best tips and tricks that we hope will make you a burger grill master! Most burgers tend to puff up in the middle as they cook, making the tops rounded and awkward for piling on toppings. To avoid this trouble, use your thumb or the back of a spoon to press a shallow indentation in the center of each raw patty. As each patty cooks, that well will fill in and flatten out, giving you a nice level surface instead of a big fat meatball. 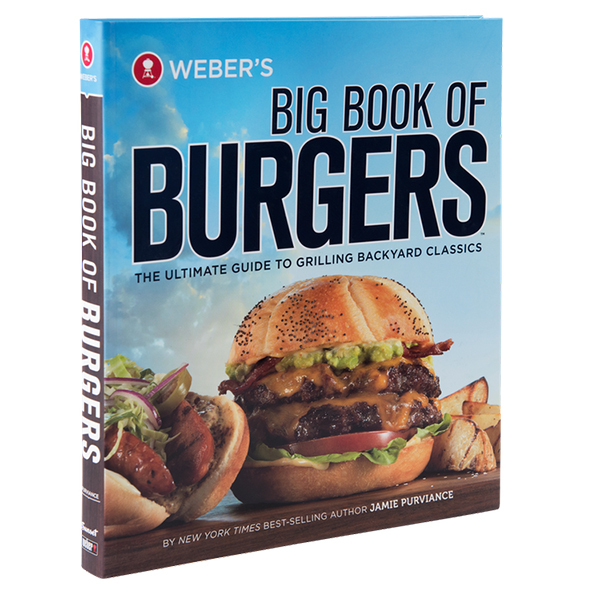 For the rest of Jamie's 5 steps to burger brilliance, check out Weber's Big Book of Burgers. Find more of Jamie's burger recipes in Weber's Greatest Hits. 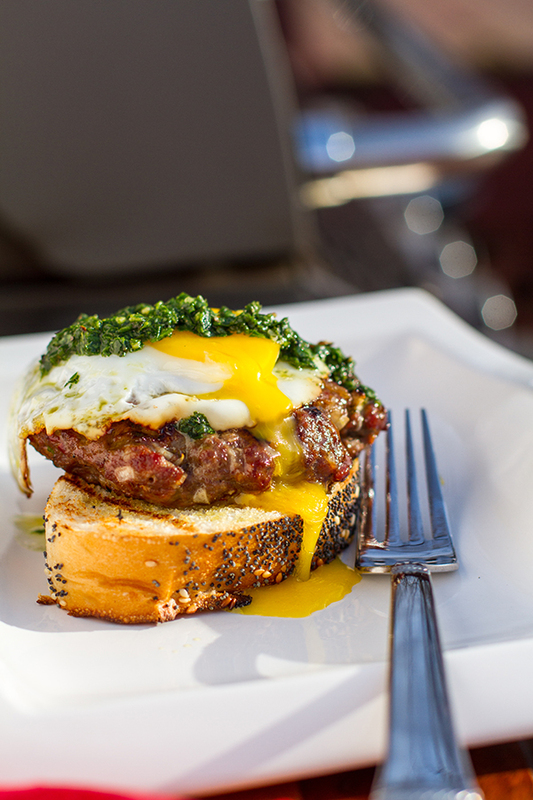 Try combining different kinds of meat to set your burger apart. My favorite combination is ground chuck, ground bacon and ground brisket. After you form the burger patties, keep them refrigerated until they go on the grill. This will help keep them from falling apart on the grill. Check out this video to see exactly how Grill Master, Kelsey, makes her ultimate burger! Prevent turkey burgers from drying out, and add a little extra flavor by mixing grated Granny Smith apples and a couple spoonfuls of mango chutney to the meat mixture. Check out the recipe here. Use an iGrill thermometer to make sure you don't cook it beyond the USDA recommended 165°. I always include diced onions in the ground beef – not for taste – but because they retain water well keeping the burger juicy! Use non-traditional buns such as pretzel rolls or sourdough, top it with a fried egg and always pair it with a craft beer! Break out of just beef. Try ground lamb, bison, pork, elk or turkey. Be careful not to overcook lean meats like bison, otherwise it will dry out. Also, try adding cooked, crumbled bacon to the meat mixture. 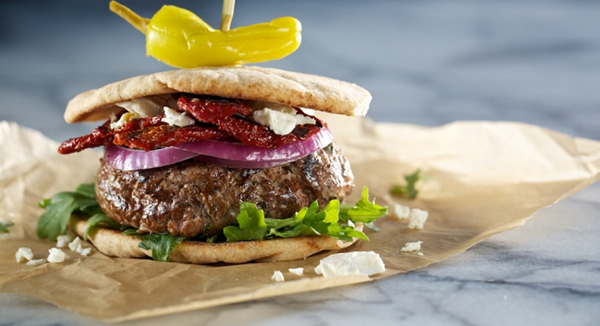 Check out this awesome recipe for Mediterranean Lamb burgers! 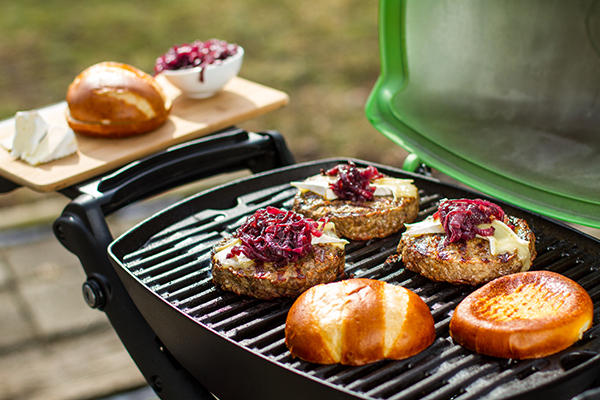 Resist the urge to press down on the burger with your spatula! When buying ground beef, it’s always best to have your butcher grind you something on the spot. 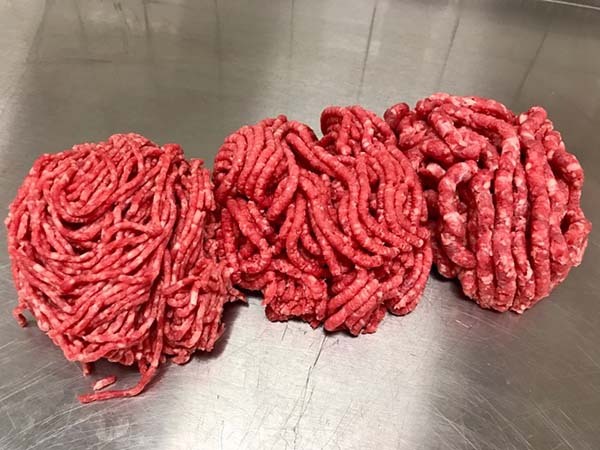 If buying ground beef from the self-serve case, look for it to be ground fresh that day in store. Click here for more of Mark's tips! 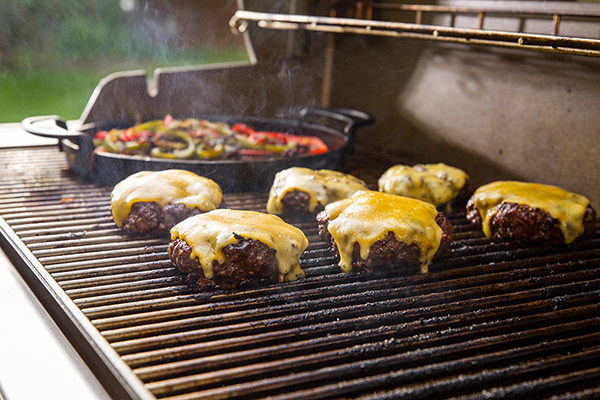 If you're getting flare ups, don't be afraid to move your burger to another part of the grill to avoid eating hockey pucks for dinner. Flip only once, don't press down on the burger and use 80/20 ground beef. You can't beat getting a well-aged cheddar. Worth the money! Make a funnel cake burger! 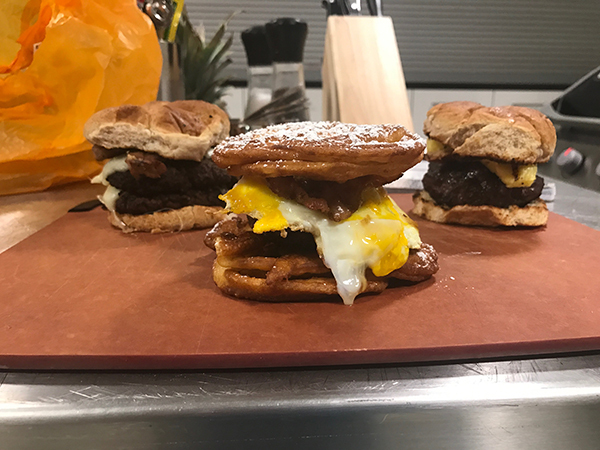 Top your favorite burger with a fried egg, candied bacon, and funnel cake buns topped with an extra sprinkling of sugar. 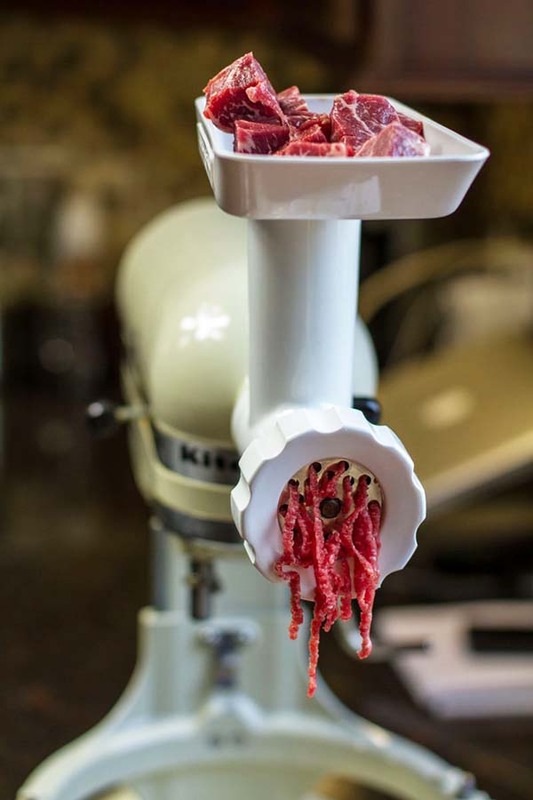 Keep control over the meat source and the process by grinding your own meat at home. Check out Mike's step-by-step instructions about how to grind your own meat. Don't be afraid to try different toppings to create interesting flavor combinations. My favorite is brie cheese with red onion jam from Weber's Big Book of Burgers.